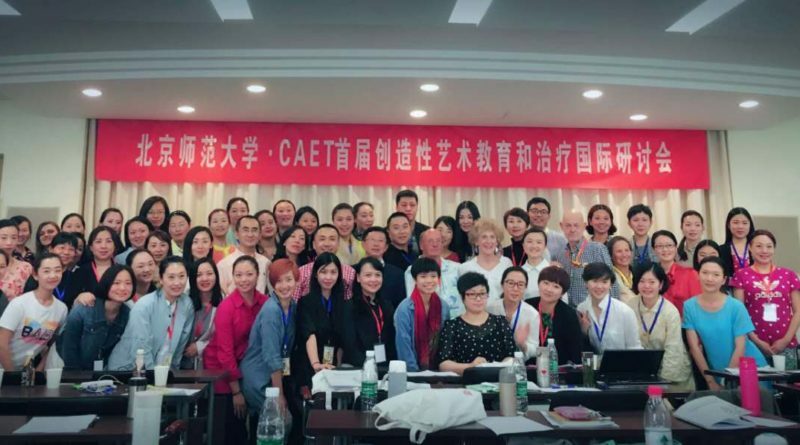 This event was presented by the Inspirees Institute and the Creative Arts Education and Therapy – Eastern and Western Perspectives (CAET) journal, and hosted by the Beijing Normal University in partnership with the School of Art and Communication and the Dance Department. Additional organisers were the Association of Creative Movement in Italy, the Music Therapy Center and the Central Conservatory of Music in China as well as the Wuxi Mental Health Hospital and the China Open University. Approximately 150 professionals from diverse cultural, social, educational and language backgrounds participated in the symposium to share and disseminate their expertise in the arts, education and therapy. Participants were dance, drama, music and play therapists, teachers, researchers and practitioners whose target was to further stimulate and develop this scientific field. A combination of long and short presentations, posters and workshops provided a better understanding of the knowledge stemming from continents around the world – America, Europe, Asia and Australia – in an attempt to bridge West and East.